Cape Town - Naspers has raised $9.8bn (about R116bn) from the sale of shares in Chinese internet giant Tencent, it announced on Friday. “These funds will be utilised to reinforce Naspers’ balance sheet and invested over time in Naspers’ development businesses,” the company said in a media release. Naspers, which is Tencent’s biggest investor, on Thursday announced an accelerated offering of almost 190 million shares in Tencent, equal to about 2% of Tencent’s issued share capital. The sale reduced its stake in Tencent from 33.2% to 31.2%. 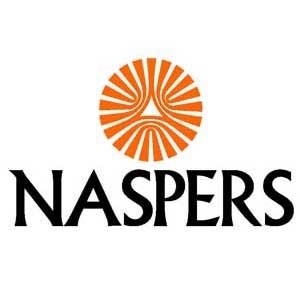 Naspers [JSE:NPN] shares were trading at R3 199.99 a share on Friday morning at 09:38, down about 3.3% on the day. Bloomberg reported that Tencent shares fell as much as 7.8% to HK$405 in early trade on Friday. Naspers chairperson Koos Bekker said in a statement that the sale would help fund the further development of some of the group's core business lines. “We want to consolidate some market positions, accelerate growth, and bring a few businesses to self-funding status faster with additional support,” he said. Tencent chairperson Pony Ma said in a statement that Naspers has been a “steadfast strategic partner over a great many years”. Naspers, meanwhile, also announced a commitment not to sell any other Tencent shares "for at least three years".